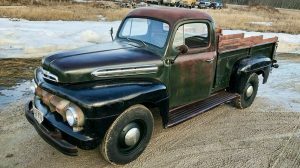 As car guys (and gals), some of us have likely fantasized about putting our pride and joy in the middle of our living space, never having to venture to the cold garage or flimsy canvas tent in the backyard where our projects lay waiting. 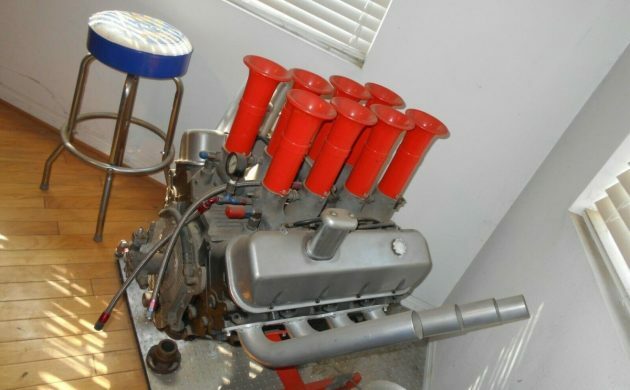 The seller of this 1937 Fiat Topolino gasser is living the dream, apparently, as the car is pictured smack dab in the middle of his dining room as listed here on eBay. Apparently, it’s been there for 20 years! 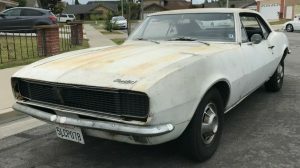 If you check out the other listings the seller has for sale, they include images in the background of a familiar corral of DeTomaso Pantera projects. It’s clear this individual has automotive interests many of us can relate to, and a living arrangement we can only dream of! Anyhow, back to the Fiat: it’s been a conversation piece for quite some time, and the motor and transmission in the Fiat are for display purposes only. 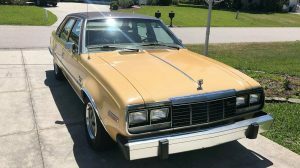 The good news is a fresh 396 motor is included with the sale, and the seller is asking $15K with the option to submit a best offer. 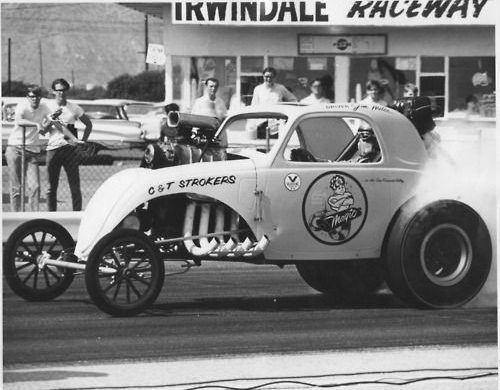 These Topolinos have a long and colorful history on the drag racing circuit, and have a strong following among vintage gasser enthusiasts. Although not worth huge sums of money, their popularity on the 1/4 mile is irrefutable, and the steel bodies like this one are the most desirable. 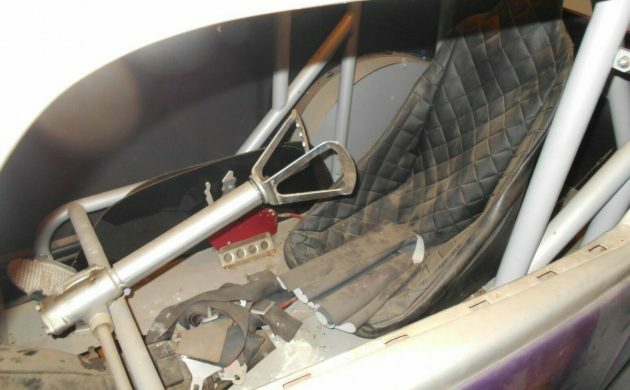 The interior is a spartan affair, with the single bucket racing seat showing some bunching up of the vinyl; otherwise, it’s just dusty (and what an impressive amount of dust for indoor storage!) 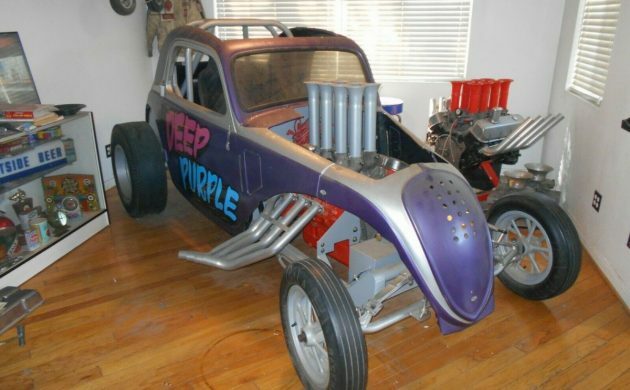 There’s no immediate evidence that the “Deep Purple” Topolino has a rich and storied drag history, but just buying a classic out of someone’s dining room is a good story on its own. 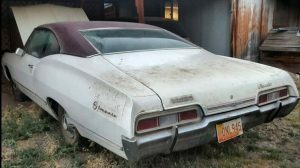 Do any of you have your project car stored inside your living space? This car will never again make a competitive pass down the track. 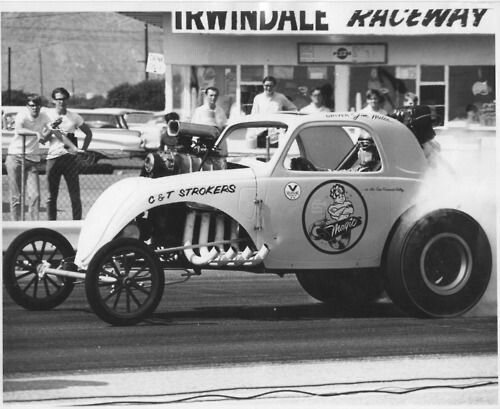 It will wind up at car shows and in the pits of nostalgia races, maybe participating in some sort of cackle fest or make a slow lap down the 1/4 mile. That will be a fitting life for this car, any attempt to update it to pass current tech rules will likely ruin much of its existing charm. Love Topolino’s. Watched many of them run down the strip in my youth and it was always exciting. My wife loves Topolino’s, but probably not this one. Steve R’s comments are spot on. Unless someone wanted to build an up-to-date spec. chassis and transfer the body and running gear over, this Topolino is a show and cacklefest car. Looks like a fun toy for someone. I never had enough room for a car in the house, but I know I am not the only one here that kept a cycle in the house. Not to be confused with Topo Gigio. Best place for a BSA in the Winter. My fantastic, awesome, VERY understanding, girlfriend has graciously allowed me to park my Parillas in the recroom. As long as I keep my “stuff” in a compact corner, these restored babies get heated storage and become a conversation starter at get togethers. Crazy? 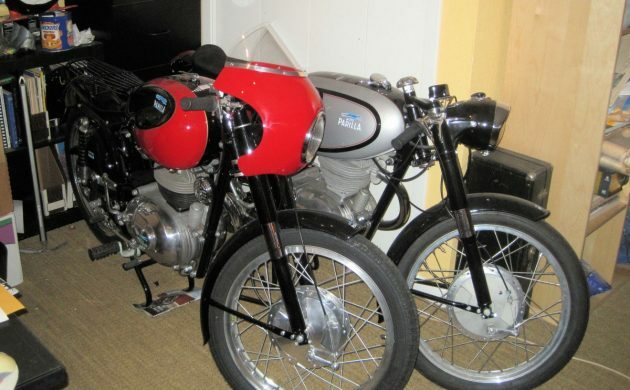 A BSA Lightning in the living room?? Unless you have a purpose-built bike museum to put it in, the living room is the next best choice. 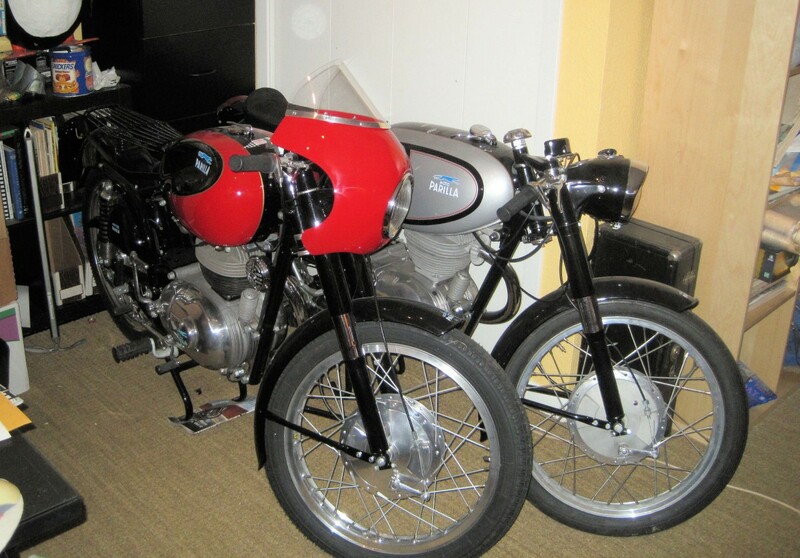 Was surprised to hear my wife agree to me putting a motorcycle in the living room, as long as it didn’t leak oil or emitted funny odors ;-) Of course, that ruled out anything British right away…. The seller didn’t mention that there are no gears in the rear end. Just a tube from one side to the other. Really liked these and the Anglia’s back in the day. If would be fun to put it back together and take it to some test and tunes and shows if you didn’t get crazy with horsepower. Came close years ago to buy an Anglia gasser. A regular at the local track bought it with a mechanical injected 427 Chevy. After his first and only pass he put the motor in a 56 Chevy! When one has a former race car kept in the dining room, does that mean the end of dusting? Kidding. This and the Packard in the factory are the stories I find every bit as interesting as a barn find. Thanks Jeff! When I first saw this I thought it was an example of a plastic model I did in about ‘68. It however was an Anglia. So….how do we get it out of the living room ? 3 guys, a bunch of tools, couple of cases of beer and a weekend. And yes….having a duplex I’ve been know to keep my cycles in there…..know it’s just full of fenders, doors, seats, grilles and other junk. 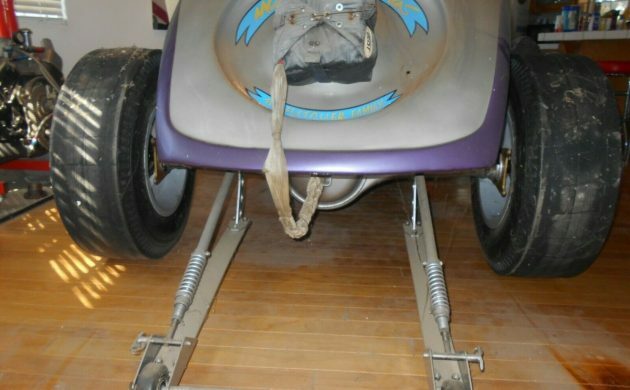 I kept my 1967 BSA thunder bolt in my basement when I was young, I wish I kept my old toys. I have to move to a place where I can build a large metal building to keep all my toys and tools. But I agree the car should be kept as a old race car, do not up date.